This Bible lesson for children is based on Paul’s explanation of love from 1 Corinthians 13:1-8. Use this lesson to instruct children on the characteristics of Christ-like love. This kids Bible lesson could be used as a children’s church or expanded for a Sunday school lesson. Please leave any suggestions at the bottom of this page. Learning Objectives: After this lesson…. Children express what they learned about Paul’s description of love by retelling several aspects they learned about it. Children express ways this kind of love can be lived out in our lives. Children express their understanding of the Lord’s love for them. Visual Aid: Poster Board listing each characteristic of love. Establish the lesson by briefly explaining different relationships in which people love others. Talk about the parent to child, child to parent, siblings, relatives (grandparents, cousins, etc. ), and friends. Have the children share briefly what they love about their parents and/or siblings. Prior to reading the Scripture, divide the group of children into two groups and ask one half to listen for what they learn about God’s love. Ask the other half of the children to identify what Paul says they are like if they don’t have love. Read (and Recap) 1 Corinthians 13:1-8. Hold up the poster board prepared beforehand while reading the Scripture. Stop after two or three verses and involve the children in the lesson. Reinforce the lesson by asking questions: What kind of things are we like if we don’t have love? We’re a noisy gong and clanging cymbal. If love is missing, but we have faith to move mountains, what do we gain? Nothing. When you’re finished reading the verses, use the poster to review the important points learned about love. Ask for a response from the children about their listening assignment. What did they learn about God’s love? What did they learn they are like without love? Select volunteers to take turns demonstrating the lessons about love. Have a child stand up and give them one characteristic of love. 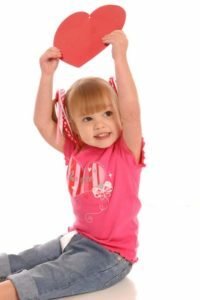 Ask them to think of ways that they can show this kind of love to others, such as sharing their favorite toy with a sibling or friend that would be hard for them to share. Explain any characteristics they might not understand. Select older children for more difficult characteristics such as “love does not act unbecomingly.” At this time it would be good to reinforce the Lord’s love for each us this way, and how He enables us to love with His kind of love. Ask for three volunteers to come up and try to remember as many traits about love that they can remember. Ask for a volunteer to share what part about God’s love that means the most to them. Give a list of possible lessons and ask the children to raise their hands if it was part of the lesson. The Lord’s love never fails. Yes. The Lord knows all things. True, but not part of this lesson. Jesus died on the cross because we sin. True, but not part of this lesson. The Lord knows the way we think and feel. True, but not really part of this lesson. Love is patient with others. Yes. Need More Help? Browse all our Valentines Sunday School Lessons or check out all our favorite Bible verses about love. Tony Kummer (Editor) reviewed & updated this page on : February 14, 2019 at 7:28 pm. All our content is peer reviewed by our readers, simply leave a comment on any post suggest an update.